Car Care is a national Australian franchise business, operating in all states throughout Australia. We even have a presence in New Zealand. 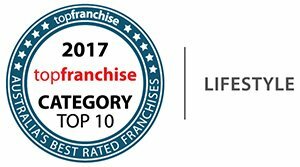 Navigate to the specific state page for where you’re interested in purchasing a Car Care business, there you’ll find details about new & existing franchise opportunities. Then contact the local state master to receive your Car Care Franchise Pack. You can learn more about Car Care by visiting out service website. Existing detailing business for sale. Has been operating for 6 years with scope to split into two areas. Earn an income from day one with an existing client list.